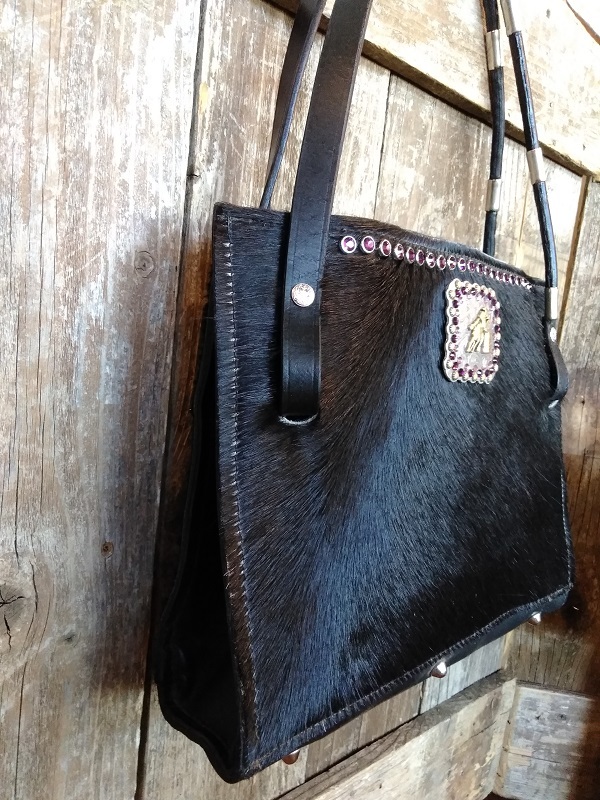 Authentic Hair on Cowhide purse is made with reclaimed Horse Reins for the Handles. Bags are 13" wide and 10" High with 19" handles. 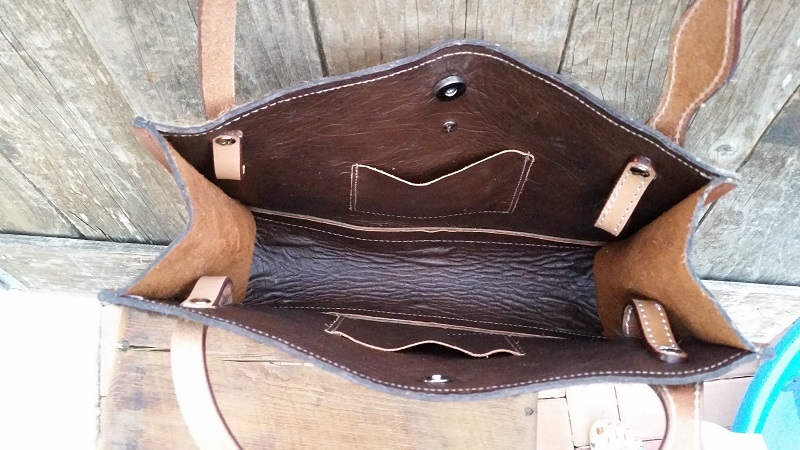 Beautiful leather lined inside with 2 pockets, snap closure. Truly... Holy Cow! 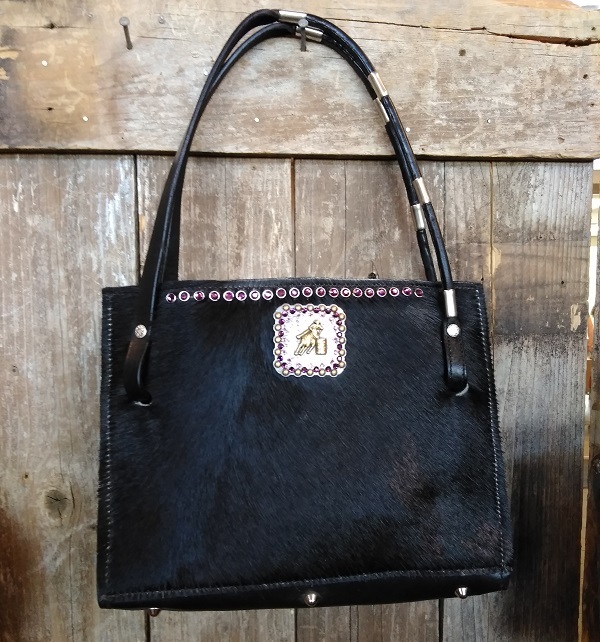 Customized with a 3" concho on front and Purple Swarovski Crystal rivets across the front. Made in USA! 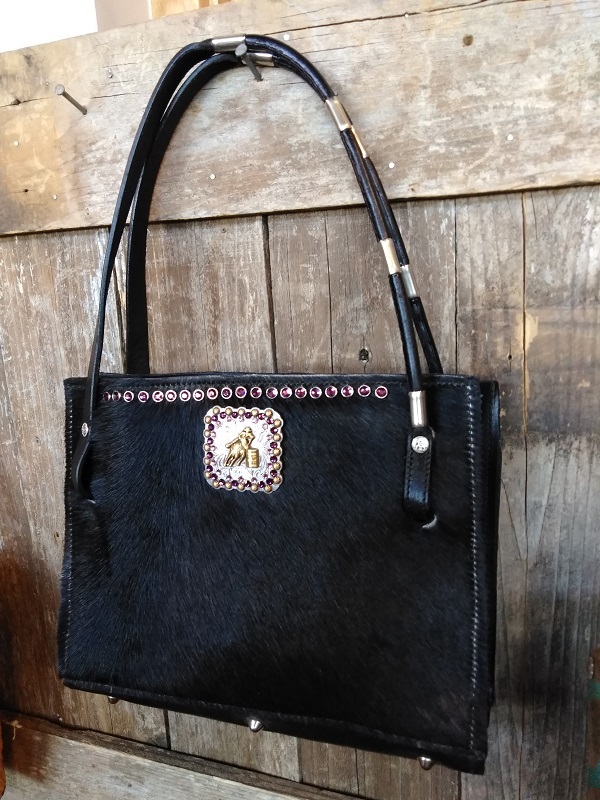 This bag has a barrel racer concho with purple swarovski crystals on the concho. I can change to a round star or square roseberry concho.